Hillary Clinton is making a war on personal gun ownership a central part of her campaign for the White House. Here are six of the most outrageous aspects of her effort to incrementally disarm American citizens. 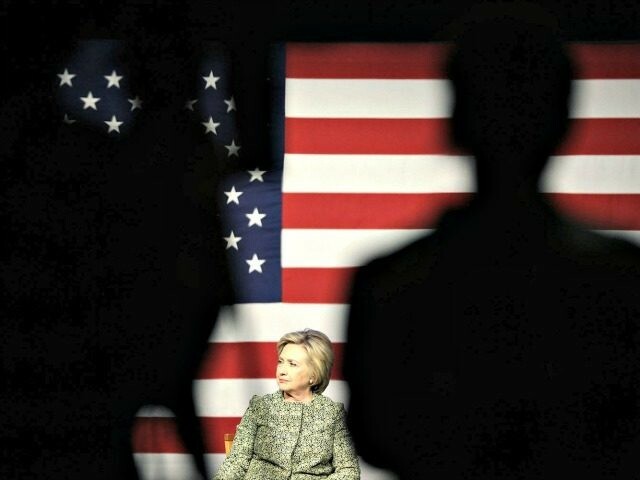 Consider Australian-style gun ban–On October 16 Hillary Clinton held a town hall at Keene State College. An audience member asked, “[Regarding] handguns…Australia recently managed to take away tens of thousands–even millions–of handguns, and in one year they were all gone. Can we do that? And if we can’t, why can’t we?” Clinton answered by pointing not only to Australia but Canada and the UK as well. She described the bans in all three countries as “a good example” of how other countries reacted to high-profile crime and suggested the Australian ban, in particular, “would be worth considering…on the national level” in the U.S. Allow Crime Victims To Sue Gun Manufacturers–In addition to an Australian-style gun ban, Clinton proposes eliminating the Protection of Lawful Commerce in Arms Act’s (PLCAA) prohibition to frivolous lawsuits against gun makers. This would allow crime victims and anti-gun attorneys to sue gun makers for incidents in which criminals misuse firearms, even if those firearms were lawfully made and sold prior to being obtained illegally (stolen) by the criminal. Allow Crime Victims to Sue Gun Sellers–This point is very similar to Clinton’s push against gun manufacturers. It would open up Federal Firearms License holders (FFLs) to suits from crime victims over the misuse of guns that were lawfully sold, then illegally obtained (stolen) by criminals. During a March 6 Democrat debate presidential hopeful Bernie Sanders made clear that Clinton’s plans to open up gun makers and sellers to such frivolous suits will result in one thing–the elimination of gun manufacturing in America. Replace Instant Background Checks With Indefinite Background Checks–Clinton wants to expand the time frame in which a background for a gun purchase is conducted. The current time frame is “instant”–via the National Instant Criminal Background Check System–but there is an allowance for the FBI to take up to three days to complete the criminal records search on a would-be gun buyer. Clinton wants to expand the FBI’s three day allowance by transforming it into an indefinite amount of time to complete a search. This means a woman under threat from a violent former boyfriend might enter a gun store on May 3 to acquire a firearm for self-defense but not be allowed to pick it up until June 15, July 23, December 13, or even longer. She would be forced to fend off the attacker as best she could in the interim. Outlaw Private Gun Sales and Add No-Fly List to Background Checks–These two proposals go together because they illustrate the tactic of limiting the avenues available for law-abiding gun purchases, while simultaneously tightening the parameters for such purchases. Step 1: Outlaw private gun sales by implementing universal background checks–the same checks in place in California and Paris. These checks bar gun owners from selling a firearm without government oversight and paperwork. Step 2: Add the ambiguous no-fly list to the background checks system’s prohibited persons list, thereby quickly increasing the number of Americans barred from making gun purchases to begin with.